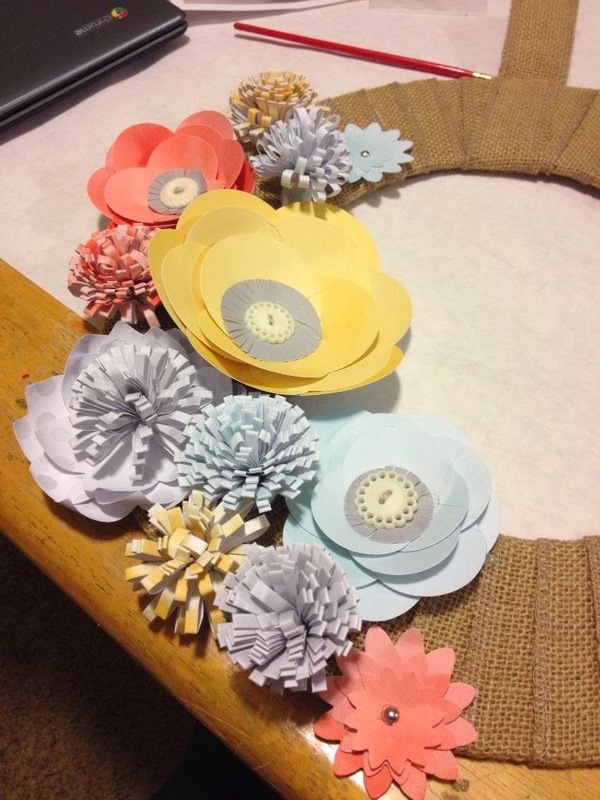 Burlap and Blooms Wreath Kit - crafty night in! | Midnight Crafting Midnight Crafting: Burlap and Blooms Wreath Kit - crafty night in! Burlap and Blooms Wreath Kit - crafty night in! The Burlap and Blooms Wreath Kit from the Stampin' Up! Spring 2014 Occasions Catalog was a perfect fit for my Vintage Crafters group! Everything you need was included in the kit, we just had to have our Hot Glue guns heated up and ready to go! The ladies loved the colors, and the wreath is a pretty decoration to add to your home or office spring decor. This is a great project for your group, or to make on your own! Let me know if you have any questions about how to assemble yours, or if you are interested in getting together to make this with me! I'd love to have another crafty night - always a good time!! Kit of the Month - Paper Pumpkin is a bargain! Paper Pumpkin - I'll Share the Love with You! Paper Pumpkin delivers the magic to your door! Banner Blast Sale-a-bration Stamp Set - Love It! !